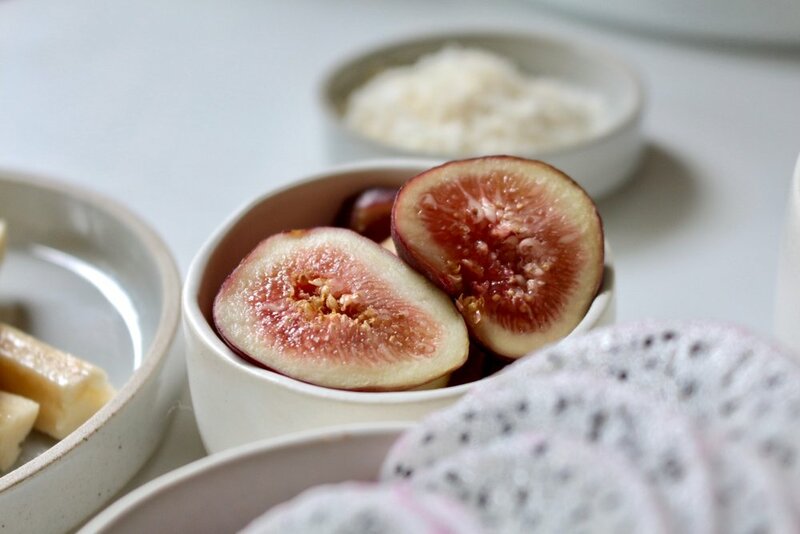 To prepare the coconut rice noodles, heat coconut milk and sugar in a medium saucepan until barely boiling. Add noodles, stir, and reduce heat to medium-low. Cook noodles until the coconut milk is mostly absorbed. Dip rice paper wrap in shallow dish of warm water for about twenty seconds. Lay flat on work surface. 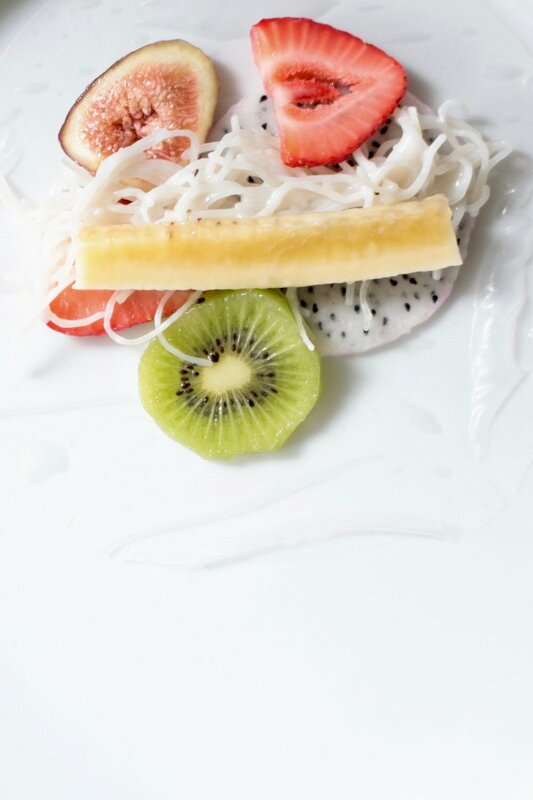 Place a couple slices of each fruit on the wrap as well as about two tablespoons of the rice noodles. To roll the wrap, fold the left side of the wrap toward the center. Then fold the top and bottom of the wrap in just about a half inch to seal the ends. Next, continue rolling from left to right. If you've ever rolled a burrito, its the same concept (only stickier!). The first few may look messy, but it gets easier.